Hi there! 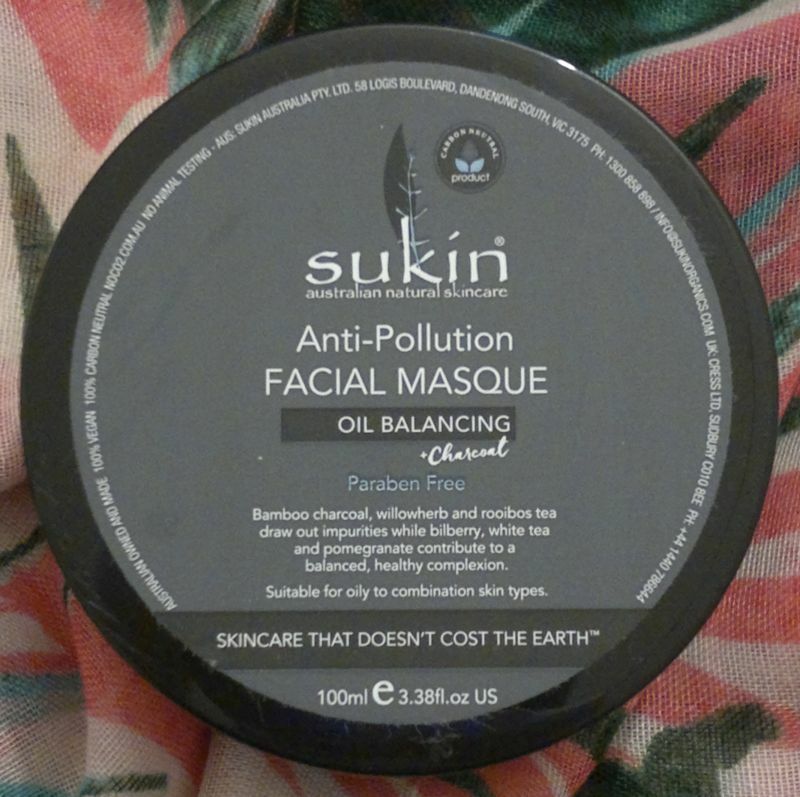 Today’s post is about Sukin‘s Anti Pollution Oil Balancing + Charcoal Facial Masque. This face mask contains bamboo charcoal, moringa extract, willowherb, aloe vera, rooibos tea, as well as quince, bilberry and pomegranate extracts, and coconut, avocado and rosehip oils. It promises to absorb toxins for a deep cleanse, to revitalise and refresh skin, and to tighten pores and reduce shine for a balanced complexion. I think Sukin did an amazing job with this mask. I didn’t expect much because I couldn’t “feel” the mask doing its magic. However, when I washed my face, I was seriously impressed! My skin looked and felt super clean without being dry, my skin tone looked more even, and my pores were much smaller. I get this effect every time I use this mask, and I can definitely see myself picking up another tub once this one’s finished. I would recommend this face mask to everyone who wants clearer skin. Since this mask works well for my very dry and moody skin, I would also recommend this mask to people with similar skin types. Sukin‘s Anti Pollution Oil Balancing + Charcoal Facial Masque is available as 100ml. I paid £5.99 (TK Maxx). Hi there! Today’s post is about Sukin‘s Super Greens Facial Recovery Serum. This serum contains cocoa seed butter, vitamin E, avocado oil, grape seed oil, carrot seed oil, acai and goji fruit extracts, as well as kale, spirulina and parsley extracts. The product does not contain SLS, mineral oils, animal derivatives, artificial colours, synthetic fragrances or parabens. It’s 100% vegan and cruelty-free. What does it do? This serum promises to give skin a healthy glow. And does it work? I think it does! I’ve been using the serum for about 4 weeks now, and I like it. Thanks to all the oils it contains, it seems to be very hydrating – almost nourishing. This is a welcome change from Scinic’s useless Aqua Ampoule. I enjoy using this serum mornings and evenings. It plays well with my hyaluronic acid face mist and with my day and night creams. This serum isn’t like your normal serum. This one’s white and runny – it’s pretty much like milk! I’m OK with the scent, but I don’t love it. It smells like a random mix of oils. I’m really happy with the results. My skin looks and feels much better now than 4 weeks ago. But I’m not surprised. Looking back, Scinic’s Aqua Ampoule was actually much worse than I thought it was! So thank you, Sukin, for making my skin look better and healthier! 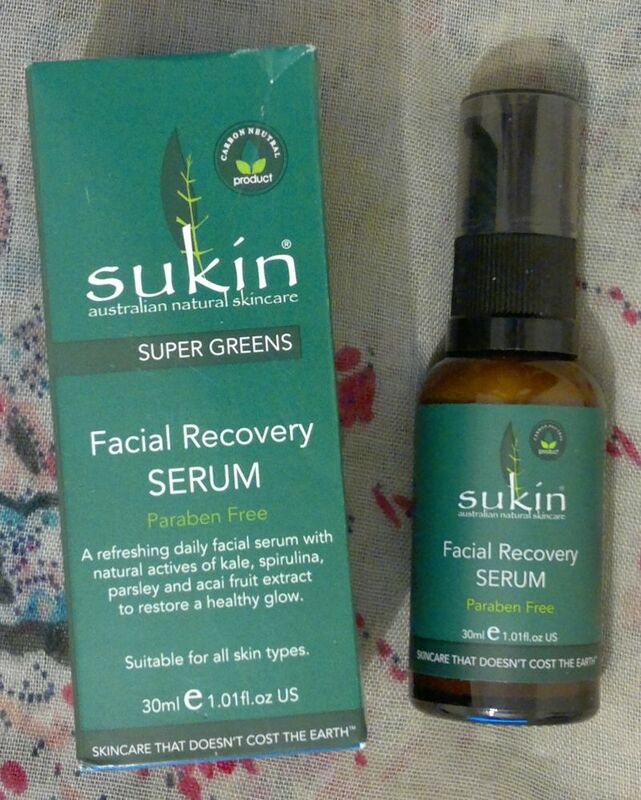 Sukin‘s Super Greens Facial Recovery Serum is available as 30ml for £14. I paid £4.99 (TK Maxx). Hi there! Today’s post is about Sukin‘s Purifying Shampoo. This shampoo, which is aimed at daily washers and all hair types, contains lots of natural ingredients like aloe vera leaf juice (which is listed as the 2nd ingredient), nettle, horsetail and burdock. The product promises to cleanse, nourish and soften any type of hair, and to be gentle on sensitive scalps. I’ve used the shampoo for a few times now, and I think it’s OK. This shampoo doesn’t contain SLS, but it lathers up well. However, it doesn’t feel very cleansing, so this isn’t the best shampoo for post-gym use (believe me, I tried). The fragrance is very sukin (= the product smells like the sum of its ingredients which is nice). I will continue to use this shampoo once a week (and followed by a deep conditioner). However, I don’t love it, and I don’t think I’ll miss it once it’s gone, so I won’t be buying it again. If you’re interested, Sukin‘s Purifying Shampoo is available as 50ml, 250ml, 500ml and 1l. Sukin also offers a matching conditioner. Sukin is an Australian brand that is known for vegan, cruelty-free and carbon-neutral beauty products and toiletries. Sukin products don’t contain SLS, SLES, harsh ingredients, animal derivatives, synthetic fragrances, artificial colours, mineral oils or parabens. OK, so what’s this product like? Well, this tonic is essentially a toner. It contains white tea, pomegranate, bilberry and coconut extracts, vitamins, antioxidants, chamomile, cucumber and aloe vera extracts. Awesome! This toner promises balanced, refined and soothed skin as well as purified pores. I’ve been using this toner on and off since December, and I think that it’s really powerful. It smells harsh. Well, I think it smells like poison. And when I use this toner for more than 2 days in a row, it makes my skin feel like it’s being poisoned! If you’re into natural skin care, I think you should try this toner – but be careful if you have sensitive or moody skin. And please make sure you do a patch test first! Sukin’s Oil Balancing Clarifying Facial Tonic is available as 125ml for £9.95 (Boots). I paid £4.99 (TK Maxx). 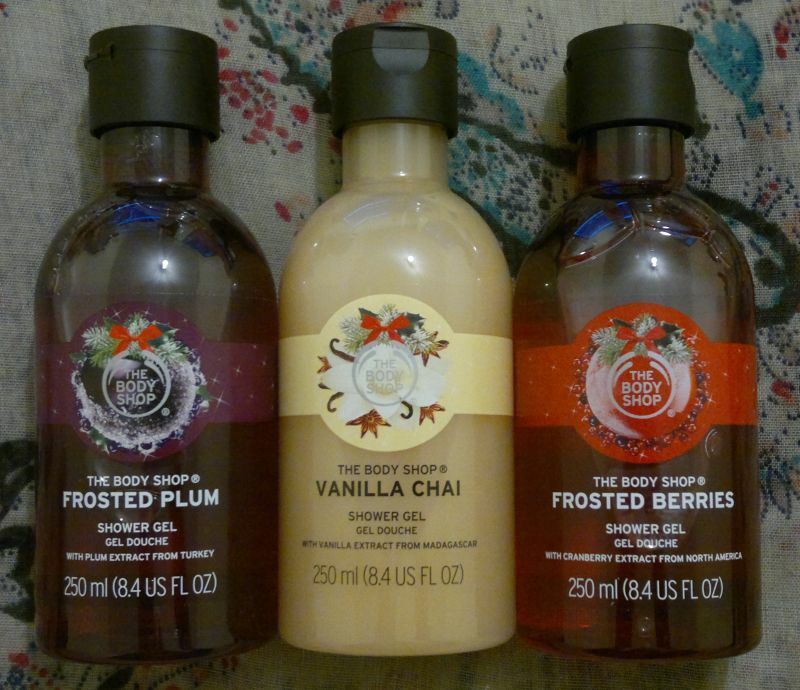 I bought 3 The Body Shop shower gels – Frosted Plum, Vanilla Chai and Frosted Berries. They were £2.50 each. 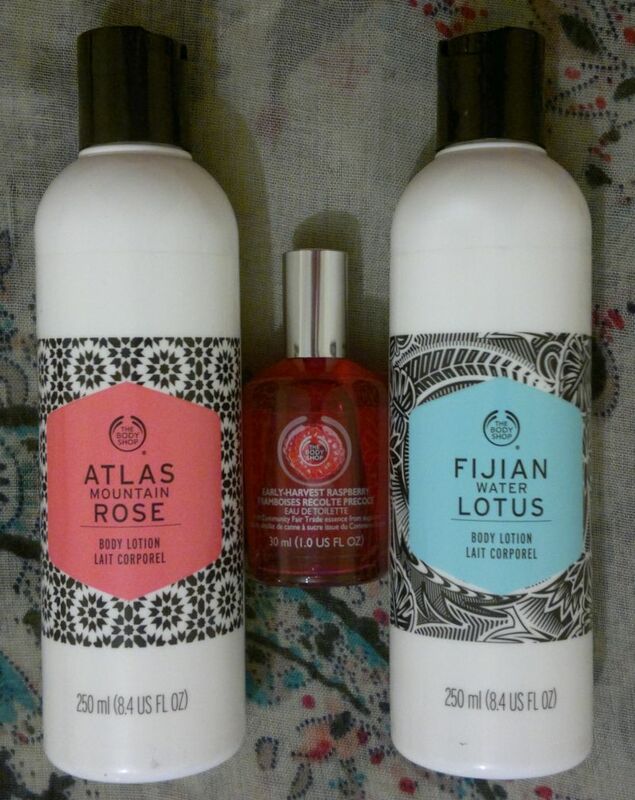 The Body Shop’s Atlas Mountain Rose Body Lotion was £2, the Early Harvest Raspberry Eau de Toilette was £5, and the Fijian Water Lotus Body Lotion was £2. 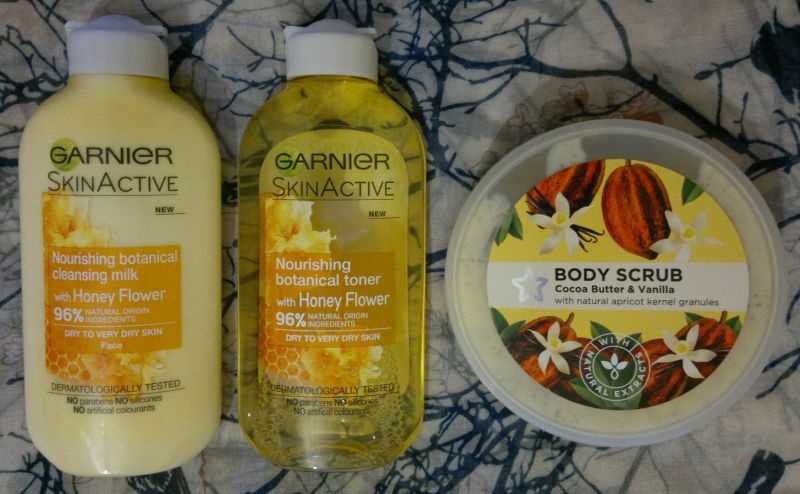 I’ve already reviewed the body lotions – click here. About 10 days later I placed another TBS order. 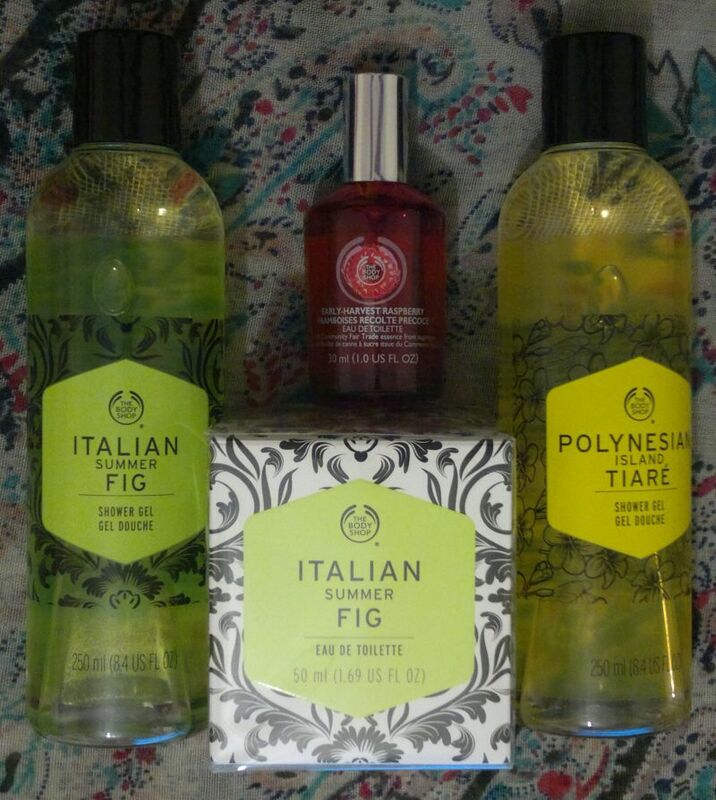 This time I bought an Italian Summer Fig shower gel (£3), an Italian Summer Fig Eau de Toilette (£6), another Early Harvest Raspberry Eau de Toilette (£5), and a Polynesian Island Tiaré shower gel (£2). 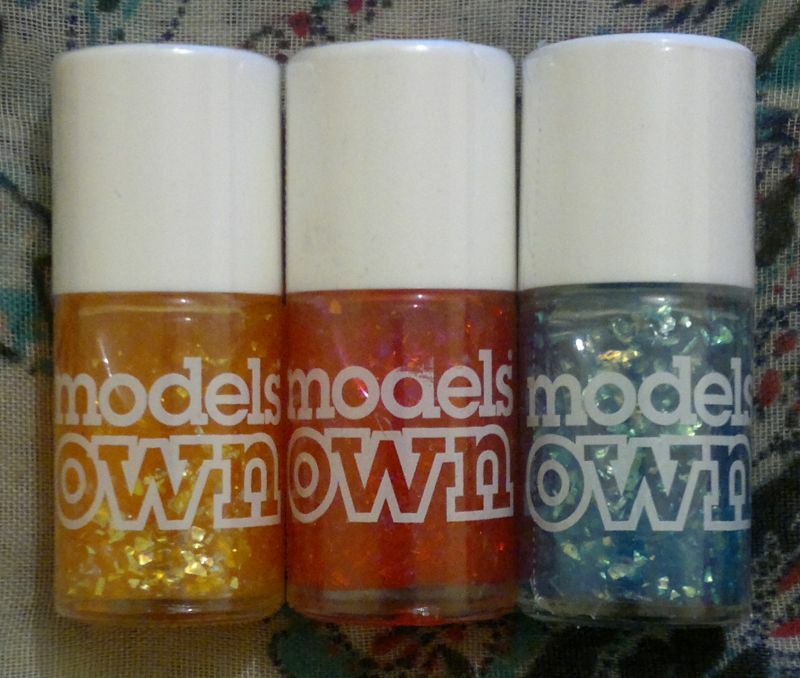 I also picked up 3 Models Own flakie polishes – the names are Golden Shore, Red Sea and Aqua Splash. The polishes were £1.49 each (Superdrug, bargain bin). 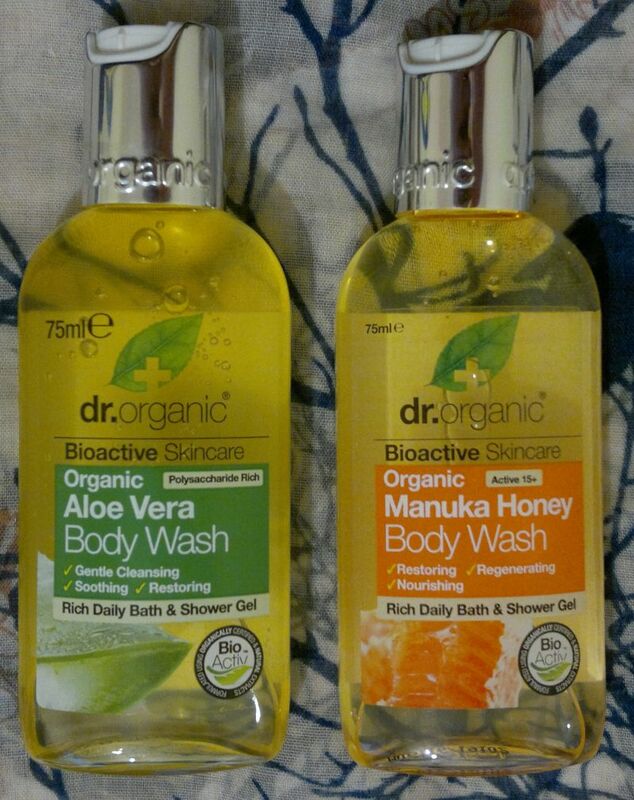 I bought 2 Dr. Organic Body Washes – Aloe Vera & Manuka Honey. These were on sale (£1 each) at Holland & Barrett. 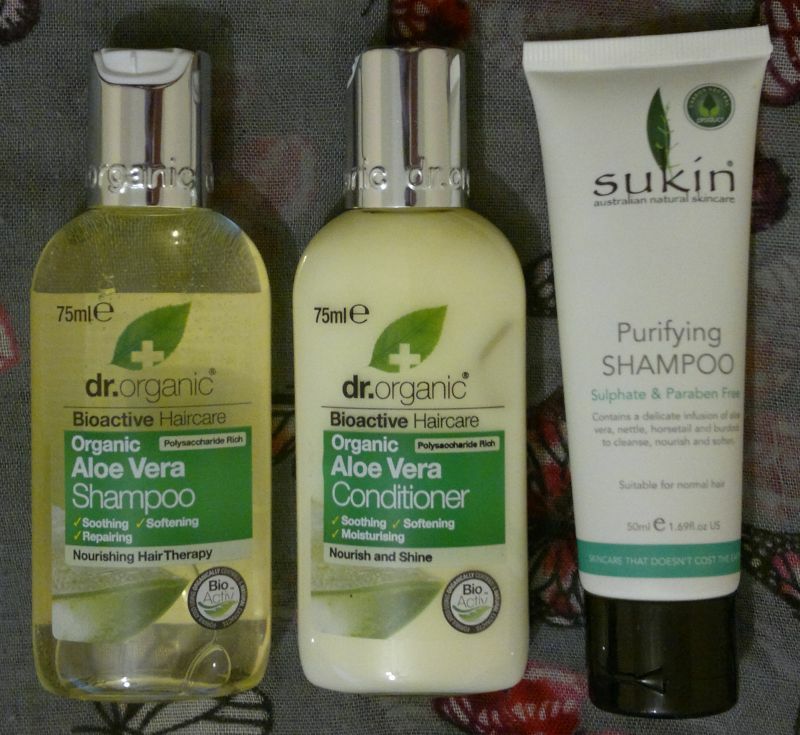 I also picked up a Dr.Organic shampoo & conditioner combo – Aloe Vera again! And I bought Sukin’s Purifying Shampoo. These 3 products were £1 each. I fell in love with Caolion’s charcoal face soap, and I really want to try more products with charcoal. So I bought this massive 195g Yes To Tomatoes Soap. It was £4.99 (Holland and Barrett). I picked up 3 Superdrug face masks (Manuka honey, charcoal, Dead Sea clay). These were 99p each, but there was also a 3 for 2 deal, so I paid £1.98 for these 3 masks. Oh, I also bought 2 new duvet cover sets. These were £14 each (king size) and I picked them up at my local Asda store (the photos are from Asda’s web site). 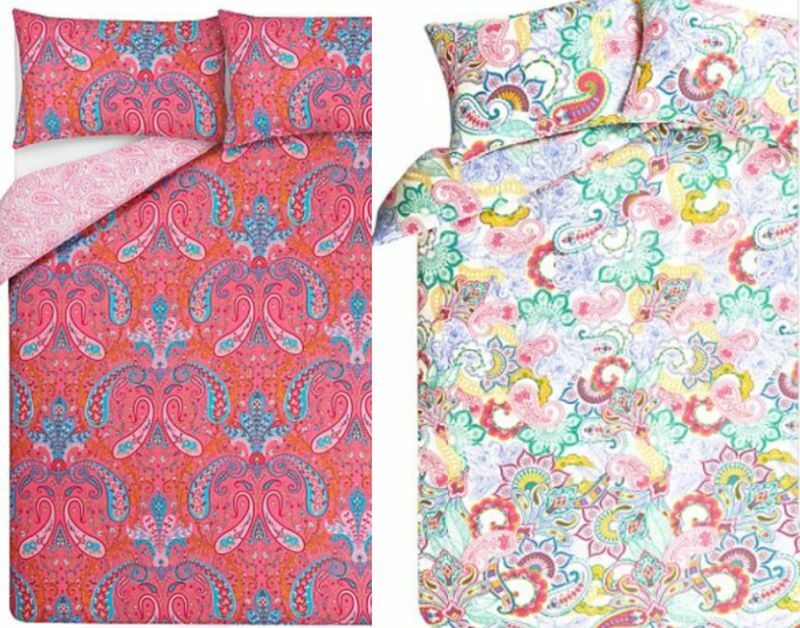 Yes, this isn’t beauty related, but I’m so happy with the good quality of these sets that I wanted to say… if you’re looking for new duvet cover sets, you need to swing by your local Asda – they have dozens of amazing prints! Back to the beauty stuff! Have you tried any of these products? Or would you like to try any of these products? Feel free to let me know your thoughts. And thanks for reading! Hi there! 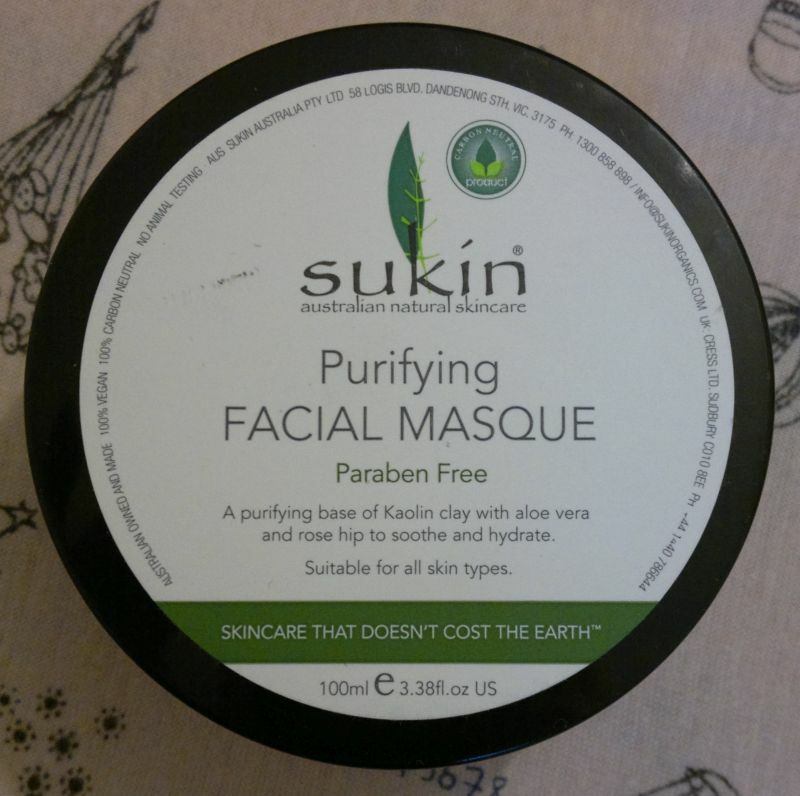 Today’s post is about Sukin’s Purifying Facial Masque. This mask for all skin types contains cleansing kaolin clay, as well as soothing aloe vera and hydrating rose hip oil. So how’s the mask? I think that this mask is quite alright. It doesn’t give me any visible results, but it makes my skin feel clean and soft. So yes, I’m satisfied that this face mask works! However, I don’t love the fragrance – the mask smells like marzipan. If you like marzipan, you’ll love the mask, but the fragrance is just way too sweet for my taste. All in all, I’m happy to continue to use the mask on a weekly basis. Sukin’s Purifying Facial Masque is vegan, cruelty-free and carbon-neutral. I paid £7.97 (well, I spent 797 store points). Anyway, before I tell you what I bought, I’d like to remind you that I’m still doing 3 out / 1 in which means that I can buy 1 item (make-up, skin care, shower stuff, etc.) for every 3 items that I finish. I’m committed to the 3 out / 1 in policy. However, this time I had to ‘borrow’ from future empties. The offers were just too good! OK, now onto the goodies! Olay Regenerist Micro-Sculpting UV Cream – finally, it is mine! This is an import from the US. Olay doesn’t sell this moisturiser in the UK. I’ve read great things about it, and I didn’t have to think twice when I found it for £12.99. 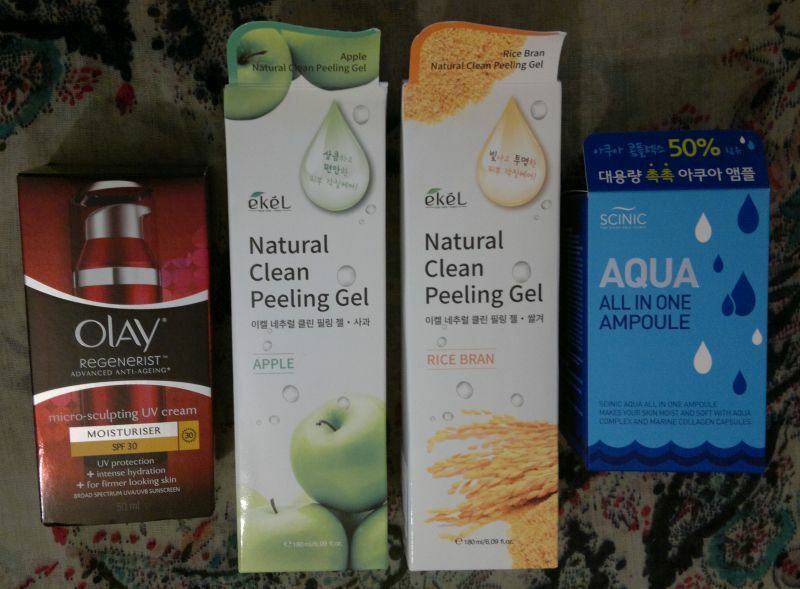 Ekél Natural Clean Peeling Gel Apple & Rice Bran – I bought the Grape version of this Peeling Gel a few weeks ago – and I fell in love with it. So I bought the apple and rice bran versions as well. They were £4.99 each. Scinic Aqua All In One Ampoule – I’m only 50% sure of what this product is supposed to do. Yeah, I know what ‘all in one’ means, but still… anyway, the reason I bought this was because it just looked so cool. I’ll try to review this one asap. I paid £9.99. Sukin Facial Recovery Serum – I bought this serum because it was £4.99 only. It’s usually just under £14, so this one was a total bargain. 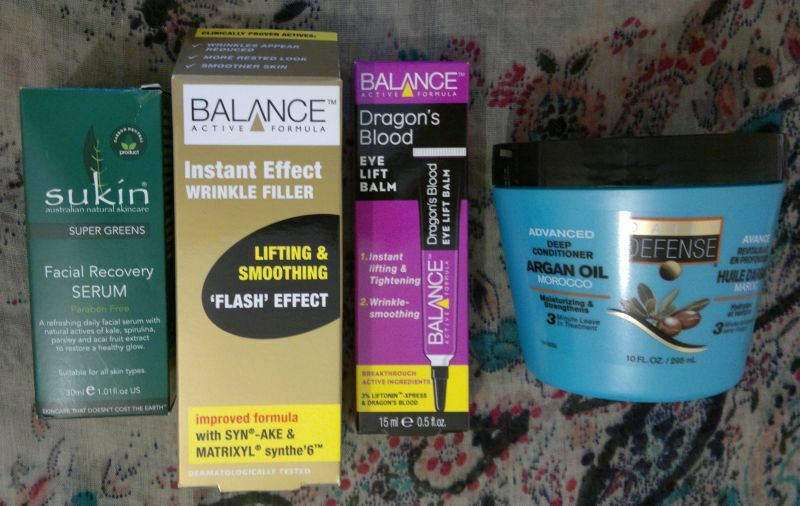 Balance Active Formula Instant Effect Wrinkle Filler & Dragon’s Blood Eye Lift Balm – I’ve never heard of this brand, but the wrinkle filler was £2.99, and the eye lift serum was £1.99. 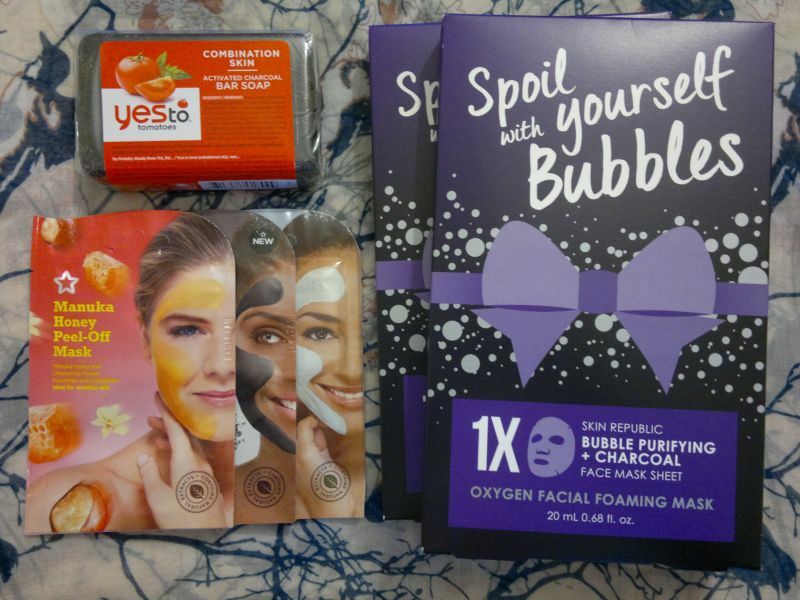 I can’t wait to test these products! 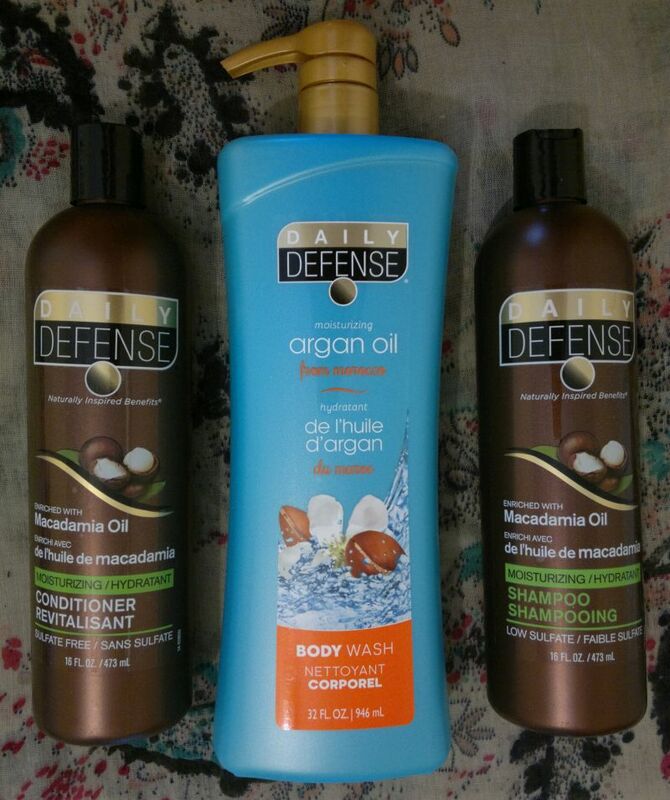 Daily Defense Argan Oil 3-Minute Leave-In Treatment – So far I’ve been impressed with Daily Defense’s hair products. And that’s why I bought this deep conditioner. It was £1.99 only! More Daily Defense! I bought the Daily Defense Macadamia Oil Shampoo & Conditioner combo and a massive 946ml Argan Oil Body Wash (which will probably take me a year to finish). These 3 products were 99p each! 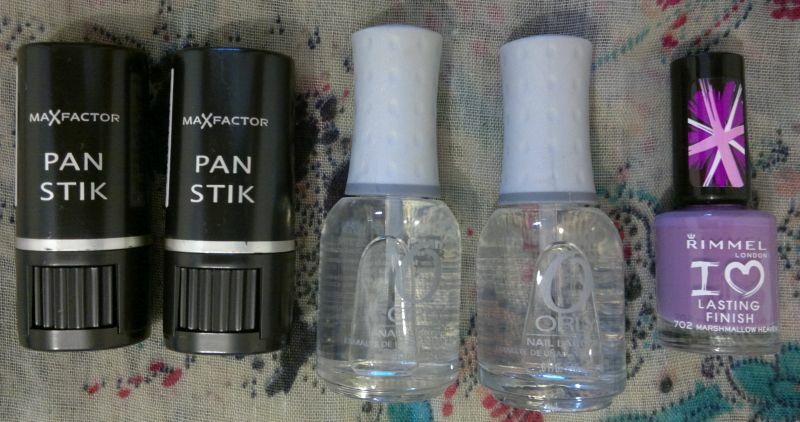 I also bought 2 more Max Factor Pan Stiks. The shade 12 True Beige is the perfect shade for me, but I only use it as my winter foundation because it’s not easy to find anymore. The Pan Stiks were 2 for £5.99. I also bought 2 clear Orly polishes for 99p each. And I bought another Rimmel I ♥ Lasting Finish 702 Marshmallow nail polish for 75p. I already have one bottle of this polish, but love these bubblegum purple nail colours so much! I went to Primark and Poundland again. I picked up 2 cheap white polishes (Primark own brand, 60p each), and 5 Sinful Colors nail polishes (Poundland, £1 each).